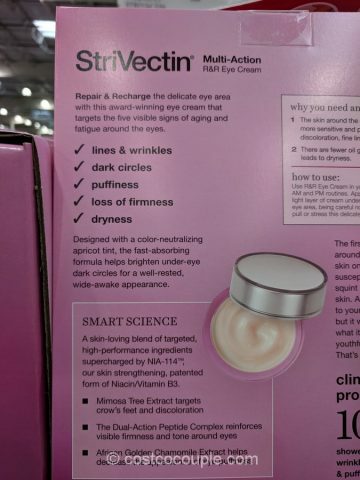 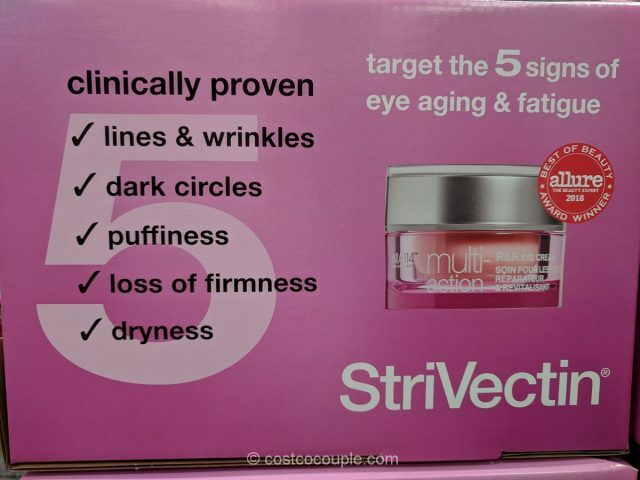 The Strivectin Multi-Action R&R Eye Cream claims to target the 5 signs of eye aging and fatigue: lines & wrinkles, dark circles, puffiness and dehydration and dryness. 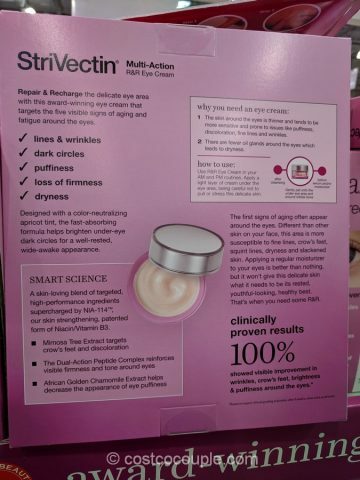 This eye cream with an apricot tint containes ingredients like Niacin, Vitamin B3, Mimosa tree extract, dual-action peptide complex and an African golden chamomile extract. 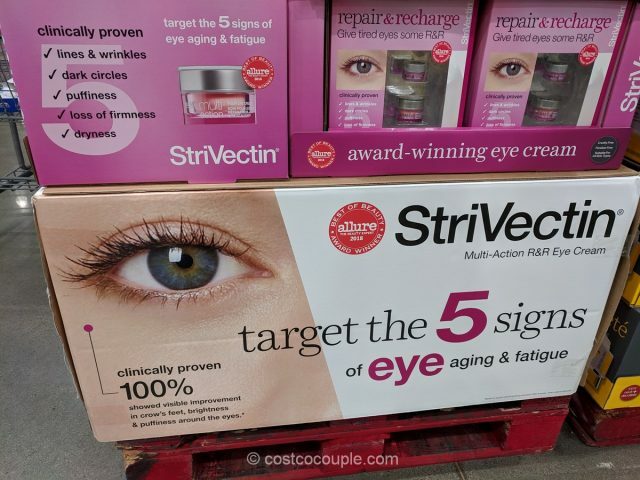 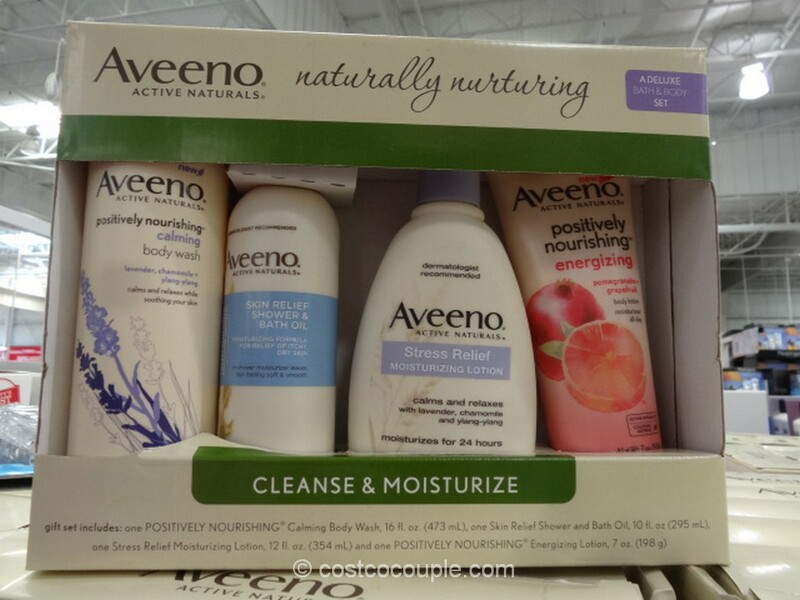 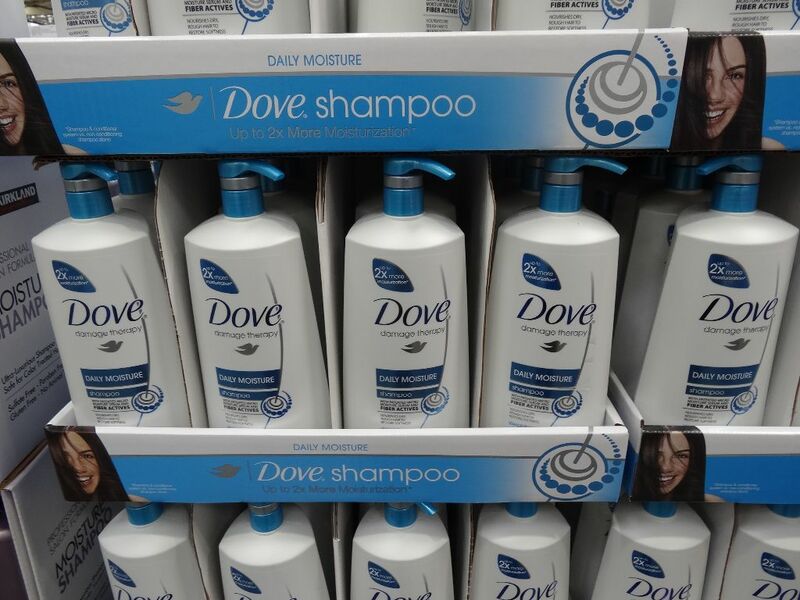 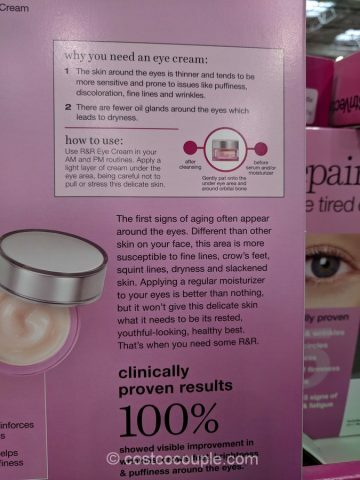 Supposedly, they have clinically proven results that after 8 weeks, 100% showed visible improvement in brightness, puffiness, wrinkles around the eyes, and crow’s feet, when used as directed. 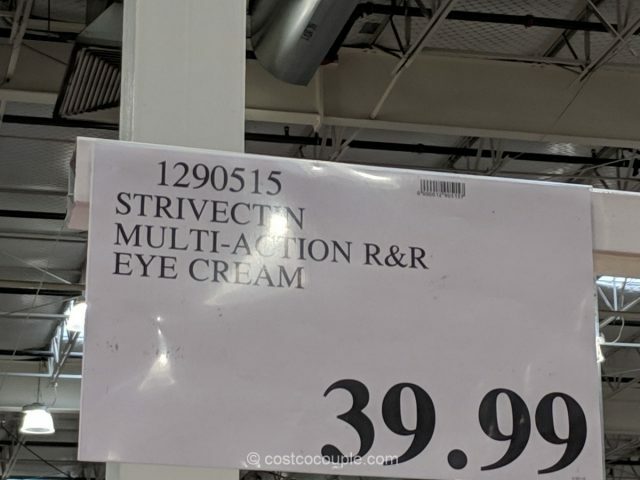 The Strivectin Multi-Action R&R Eye Cream is priced at $39.99.